Roger Larochelle has served as the Executive Director of the Squam Lakes Conservation Society since 2003. 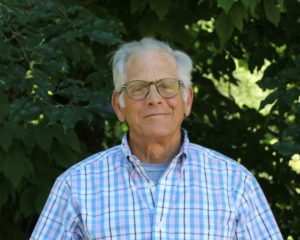 Roger grew up in Manchester, NH but has traveled to the Lakes Region and White Mountains as long as he can remember, serving a camp counselor on Newfound Lake for several years, and one year as the director of the JSLA in 1984. Roger earned a BA in Anthropology from UNH with a concentration in archeology and geomorphology. Roger was formerly the executive director of the Mayhew Program for at-risk boys and previously worked 10 years as a land surveyor and cartographer. He lives in an old farm house with Jennifer in the quiet town of Hebron, NH and is a proud parent of Grace, Alex and Chloe. 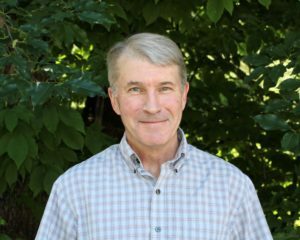 Pete Helm has served as the Stewardship Director of the Squam Lakes Conservation Society since 2014. Prior to arriving at SLCS, he accumulated 21 years leading the stewardship departments for both the Upper Valley Land Trust (seven years) and the NH Conservation Land Stewardship Program (14 years), and even had a short stint as an officer in the US Coast Guard. Pete first arrived at Squam in 1978 and enjoys hiking in the White Mountains, and paddling on all waters, salty or fresh. When he isn’t battling invasive plants at his home in Canterbury, he enjoys gardening and playing mandolin. Pete has two self-described “amazing” kids – Jenny working on her masters in Missoula, MT and Ben, living the dream in San Francisco. Alicia Abbott has worked for the Squam Lakes Conservation Society since 2006 as Office Administrator and currently as Director of Advancement. A NH native, Alicia earned a BA in Political Science from Colby-Sawyer College. Following college she worked as Legislative Assistant to the NH Speaker of the House. Alicia, husband Will and their 3 children moved to Holderness in 1993. She worked for several years as a substitute teacher and as librarian at the Holderness Central School when her kids were young. She later served 5 years as Deputy Town Clerk/Tax Collector for the Town of Holderness. Alicia and Will enjoy spending time with their now adult children and 2 new ‘in-laws’ – Will & Courtney, Jacob, and Tirzah & Jonathon. They also enjoy time at her family’s camp in northern VT, paddling remote ponds and exploring dirt roads. 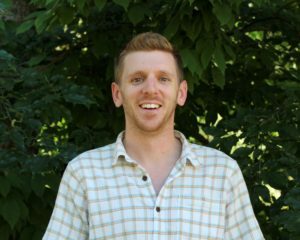 Zak Brohinsky has over eight years of experience in geographic information systems (GIS) and has been a part of the Squam Lakes Conservation Society team for four years. Working on both land acquisition and stewardship, Zak manages the organizations geographic property database and conducts all spatial analyses at the watershed- and property-scale. Beyond his work with SLCS, he uses GIS in other capacities including natural disaster assessments and teaching GIS at the university level. 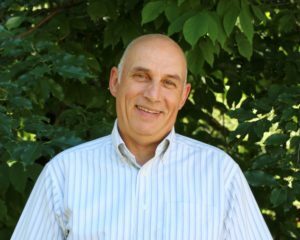 His background in applied land protection began as an undergrad at Plymouth State University, before earning a Master’s degree at the University of Massachusetts-Amherst. When he’s not slaving away at SLCS, Zak finds any excuse to be outside – riding bicycles of all kinds, swooshing on skis of all kinds, swimming at all times of year and generally playing outside.